Xolo Q600 android powered 1.2GHZ Quad core Smartphone running on MT6589M chipset launched at price of RS 9000 . Xolo Q600 gets 4.5inch capacitive display of FWVGA ( 854 X 480 ) resolution . Xolo Q1000 is the only handset that xolo have which sports 5inch 720p resolution display . Both Xolo Q800 & Xolo Q700 also offers 4.5inch screen but with little bit better resolution . Sony has also announced Sony Xperia C or CN3 to be powered by Meditek Quad core chipset . The specs that Xolo Q600 have are identically similar to that Spice MI 510 & Intex Aqua Quad core has . As both of the devices have 512MB ram and 4GB ROM ( internal memory ) . The device has expandable memory upto 32GB via Sd card . To boost the graphics performance the PowerVR SGX 544 GPU . The device has 5MP camera at the back & VGA camera at the front with video call support . The device also offers Dual SIM capability . The device will be available in White colour only . The device offers standard connectivity options like 3G , 2G , wifi ,GPS , Bluetooth , micro USB port & 3.5mm audio jack . 2000mAh battery seems to be enough to power 4.5inch device which claims the talk time of 13hours . Xolo has included Swype Keyboard to make the device more approachable . The user can simply type word by swiping the finger over virtual keyboard instead of Typing a single alphabet . 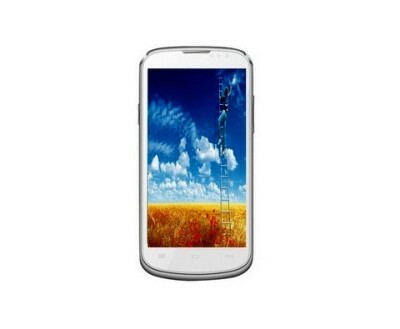 Buy Xolo Q600 via Snapdeal .